Yes, “Killing your babies” and “Killing your Darlings” is old school terminology for harshly editing your work. It is painful and necessary. Learn more about this one with me now by watching this video. 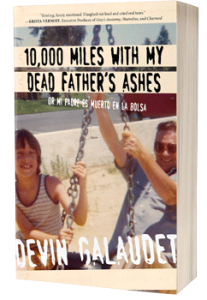 For more about my memoir, 10,000 Mile with my Dead Father’s Ashes or to get free stuff here.